Joshua Fowler, of the Liberty University S.O.A.R. Dunk Team, loses the ball between his feet as he flies through the air on a dunk attempt during halftime of a Liberty University women\'s basketball game against VCU at the Vines Center. 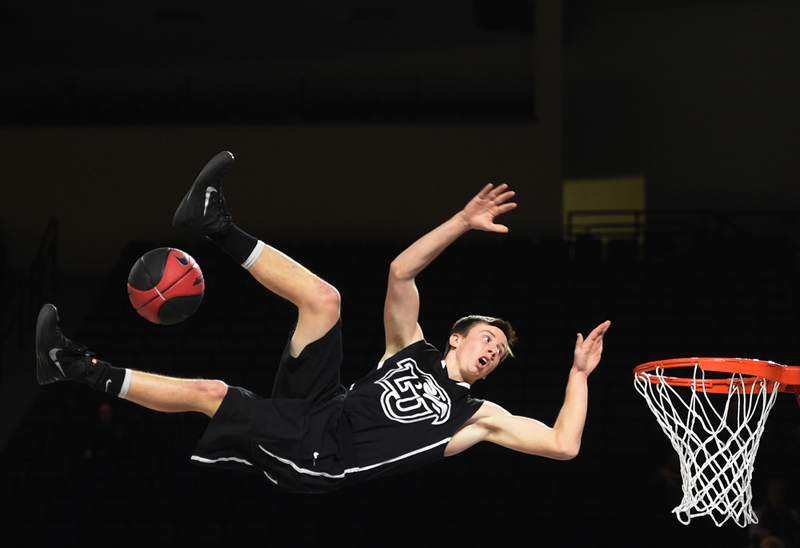 The team uses small trampolines to achieve their acrobatic dunks.